Rose of serpentine jasper for crimping. 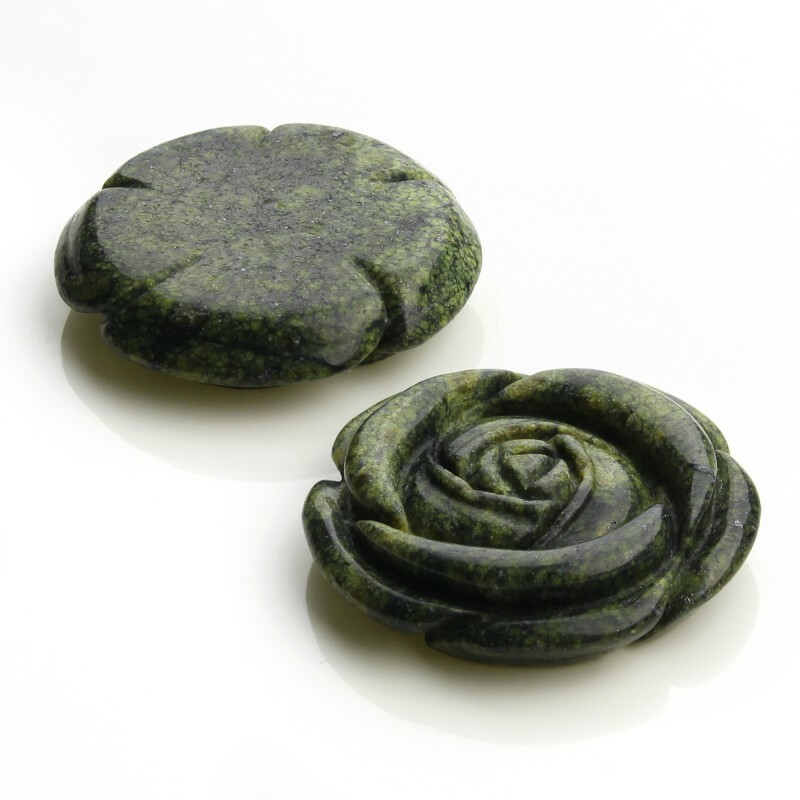 Serpentine jasper's piece, carved in rose shape with a flat base for crimping it in a metal. Measures: 4 cm x 0.9 cm and 19 grams.